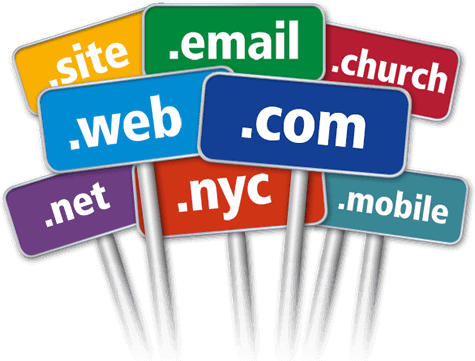 Register your perfect domain for your website. Register in just few clicks your most suitable domain for your website. In less than five minutes you can have your preferred web address online and ready. Domain is the first contact that visitors will have with your website, is the name they will use to connect with it. So choose carefully you domain name. With HostingPartner you can register, tranfer or renew all types of domains with main extensions available on world market. If want to buy a Hosting plan to have web space, e-mail and databases for your domain, you can do it here. Why should I buy a domain from HostingPartner? HostingPartner has always been an affordable company with focus on its customers needs. By ordering a domain from us you will take advantage of a friendly and helpful support team together with our services. Our Hosting plans are supported by high-performance devices which ensure speed and affordability, as well as security and protection. The prices you see on our website are exactly those you will pay and there are no hidden costs during the order process. During the order process you can choose to hide your sensitive information, or those of registrant, from websites of domain Registrars. By ordering a domain or a Hosting plan, you will have an easy-to-use and user-friendly control panel from which you can manage your DNS, redirects, or every resource related to your domain or Hosting plan. All prices shown on our website, fully reflects what is indicated on every product page, except for VAT, and optional services that you could buy during the order process. To help you making the right choice, we wrote a list of frequently asked questions about the products and services shown here. Wheter you are ordering domains together with a Hosting plan or single domains for parking, or for future use, you can control and manage your domains though the control panel, from which you can manage DNS, redirects, and much more. Can I register a domain on behalf of a customer of mine? Yes. Simply add your details during the order process and then select "Add a new contact" under "Domain Registrant Information" to add details of domain owner. Is it possible to change the domain name once registered? No. You have to carefully choose and type correctly the domain name you want to register because you cannot change it, unless you'll register a new one. Is the domain registered/transferred immediately? Your order of registration/transfer is processed within 24 hours starting from payment, or within few minutes if done during office hours. Domain registration is made immediately after the request, while transfer takes 3 days, unless earlier approval of previous Provider, during which time you we still be able to view your website, use your hosting space, prepare your contents to be published on the new server and manage all what is needed before transfer is done. Can I withdraw from my order if I change my mind? No. When a domain is registered, it will be paid in advance by HostingPartner and it will be valid until expiration, unless a cancellation is requested, so getting a refund is not possible.